Great for a Halloween party decoration or even for your haunted house! 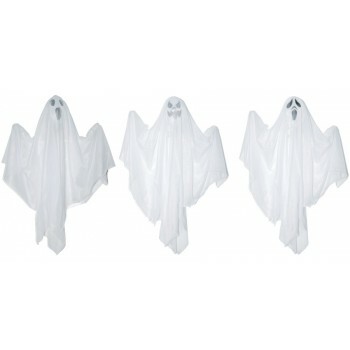 You can hang these assorted ghosts and create a spooky time for you and your guests. Assorted spooky facial expressions. 18" x 15" x 2".